Ukrainian Scientific Pharmacopoeial Center for Quality of Medicines (USPhCQM) is a leading scientific institution in the field of standardisation and quality control of medicines in Ukraine. 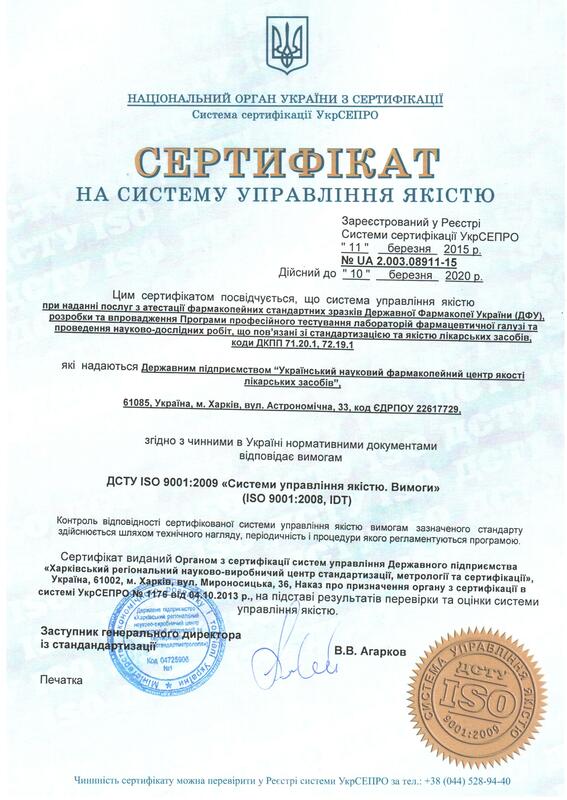 Since 2010, it is a subdivision of the State Administration on Medicines and Drugs Control of Ukraine. R&D performance as to Standardisation and Quality of Medicines.